Location: Great Yarmouth, Norfolk, England. 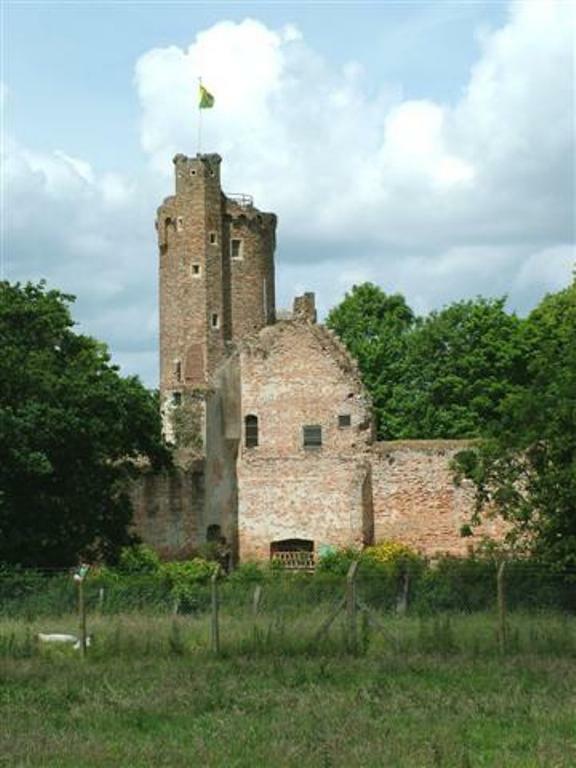 Notes: Caister Castle is a 15th century moated castle situated in the parish of West Caister, some 5 km (3.1 mi) north of the town of Great Yarmouth in the English county of Norfolk (grid reference TG504123). The castle had a 100 ft (33 m) high tower and was built between 1432 and 1446 by Sir John Fastolf, who (along with Sir John Oldcastle) was an inspiration for William Shakespeare's Falstaff. Fastolf was the recipient of one of the five licences to crenellate, authorising the building of a fortified dwelling, issued by Henry VI, during his 50 years' reign. The castle suffered severe damage in 1469 when it was besieged and captured by the Duke of Norfolk. The castle, other than the tower, fell into ruin after 1600 when a new house was built nearby. The castle's tower is still intact and can be climbed by visitors. The Caister Castle Motor Museum features a private collection of veteran, vintage, classic, sports and touring automobiles and motorcycles. The museum also displays bicycles, horse-drawn vehicles, pedal cars, agriculture equipment and transportation items. The exhibits are located in a purpose-built building. Admission to the castle includes the museum, castle tower and grounds.